When I was growing up, my family always ate breakfast together on weekday mornings. While we were having breakfast, we listened to the local Conway radio station, WBCN, primarily for the daily weather forecast. That forecast was called into the station by Joe Dodge. Joe combined the forecast with a savings program since the sponsor was a local bank. Joe rated each day on a scale from one cent (the worst) to fifty cents (the best.) I didn’t understand why my parents put so much faith in Joe’s weather forecasts, but I was too young to appreciate who Joe Dodge was. I do remember my parents were surprised that Joe could suppress his use of profanity on the radio broadcasts. So who was Joe Dodge? Interestingly, Joe received his honorary degree at the same commencement that Robert Frost received an honorary Doctorate. Dartmouth considered both New Hampshire institutions. One who specialized in making language colorful while the other specialized in colorful language! 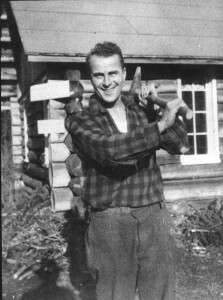 In 1922 Joe came to the White Mountains to work for the Appalachian Mountain Club (AMC) as the Pinkham Notch hutmaster. In those days the road through Pinkham Notch was not winter-maintained so this was a summer job. However in 1926 the AMC decided to keep the Pinkham Notch center open year round and Joe was their man. Joe would be the Pinkham Notch hutmaster for thirty years. During that time he would oversee the maintenance and construction of the AMC’s eight huts throughout the White Mountains. Joe built a bigger-than-life reputation for accomplishing almost anything and on a bare-bones budget. He developed a loyal following from all the hut men and women whom he had supervised. Many of these were Ivy Leaguer’s who were taking profanity-laced orders from a guy who dropped out of high school. Joe was one of the co-founders of the Mount Washington Observatory in 1932 using a $400 grant. 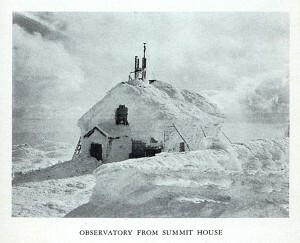 The Observatory at the top of Mount Washington monitored some of the most severe weather ever recorded including a 231 mile-per-hour wind gust on April 12, 1934. Joe was the Observatory’s managing director for the first few years and then became its treasurer, a post he held until his death in 1973. Joe was a skier although he would admit he wasn’t a very good skier. As Tuckerman Ravine became a more popular skiing destination Joe organized a volunteer ski patrol. He also used his ham radio skills to develop a timing system for ski races held on Mount Washington and Wildcat in the early years. 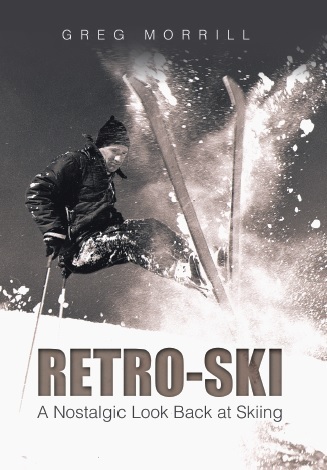 Joe’s biggest contributions to skiing were his two children: Ann and Brooks. Both were skiing over the headwall by the time they were ten. As a teenager, Brooks would pioneer many extreme routes in Tuckerman Ravine. Later Brooks would ski in two Olympics for the United States. Today the AMC’s Pinkham Notch center is officially the Joe Dodge Lodge. Joe had nicknames for everything: people, places, and things. The Pinkham Notch center was “Porky Gulch”; New Hampshire was “Cow Hampshire”; latrines were “crappertories”; and every hut man and woman got an assigned nickname. A Saturday Evening Post article about Joe in March 1949 was entitled “The Mayor of Porky Gulch”, a title he cherished.